Karen M. Cullen specializes in planning, supervising, and managing investigation, discovery, and litigation projects in bankruptcy proceedings and commercial litigation. 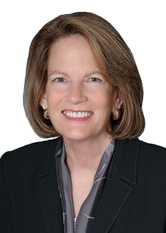 Since 2010, Ms. Cullen has assisted in the firm’s representation of the SIPA Trustee for the liquidation of Bernard L. Madoff Investment Securities LLC and the Chapter 7 Trustee of Bernard L. Madoff. Ms. Cullen also has significant claims management experience in chapter 11 bankruptcy proceedings and worked for several years in the financial services industry. She managed the claims resolution process in the Chapter 11 reorganization of a large investment bank and served as general counsel for an NASD regulated broker-dealer and for an OTS regulated federal savings bank. Ms. Cullen started her career as a litigation associate in a large New York City-based law firm. Ms. Cullen is a certified project management professional. Ms. Cullen is also a member of the Association of the Bar for the City of New York. She received a Moot Court Scholarship at St. John's University School of Law.